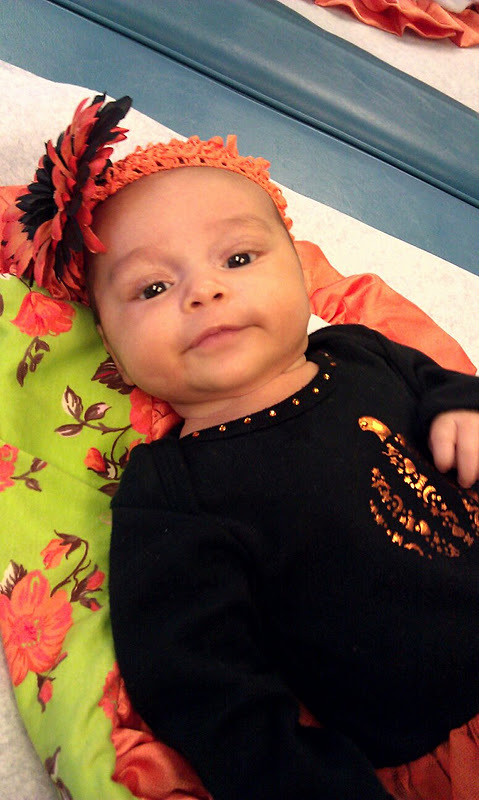 Baby Josselyn is 2 months old today! These 2 months have just flown by. It seems like just last week little Josselyn was born and now my little baby smiles the most adorable toothless grin, coos as if she is saying something very important, tries to hold up her neck like she is 6 months old, and she can finally grab onto a toy! She is getting so big... Josse has already moved up to size 1 diapers and she has almost outgrown her newborn clothes (that makes me a bit sad). Josselyn no longer just eats and sleeps; she actually has "awake time" where she is completely alert and looks around at everything and plays (or fusses lol). 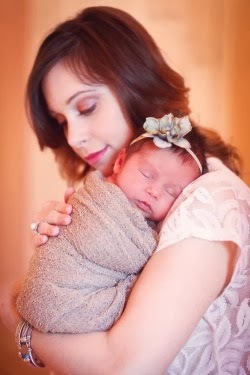 For the first time last week I looked at my daughter and realized that she was no longer a newborn but more of a baby. Somehow these last few weeks she has transformed from this teeny tiny newborn to a baby. I am not sure if that make sense to you, but basically my little princess is growing up! Today was her 2 month doctors appointment. This was probably the worst doctors visit I have ever had (actually the worst visit was a few weeks ago at my doctors appointment. My girlfriend Lauren came along to help me since Josse was only 4 weeks old at the time. Basically in a matter of 30 minutes I took out a curb while speeding to the appointment, I couldn't figure out how to open my dumb stroller, then while the valet guy was practically breaking my stroller trying to open it I snagged one of my only shirts that fit, I said a few choice words, then after we finally got the stroller open I spilled my diet Dr Pepper all over the stroller, myself & the hospital floor, believe it or not Lauren and I managed to get lost trying to find the doctors office and to top it all off I was late for my appointment!) Well, back to today's not so great experience...I took Josse to her appointment and they weighed and measured her. Josselyn is 24 in long, which means she is in the 95% for height! We still have no idea where our daughter got her height from, John and I are not tall people!!! Anyways, she weighs 11 lbs 3 oz which is the 60% for weight, so we have a healthy, tall baby girl. Now the bad part of the appointment was when the nurse came in and gave my poor baby 3 SHOTS & some nasty MEDICINE. Josselyn hated the taste of the medicine (even though the nurse said it was supposed to be sweet) and Josselyn screamed bloody murder with each shot. I almost cried becasue I felt so bad for my little innocent baby who had no idea why she feeling all of this pain! It is not like I could explain to her that these shots were to help protect her and keep her healthy...Well, luckily the appointment was fast and I raced out of there once it was over. I headed straight to CVS to buy some baby Tylenol for my poor baby. As for the rest of the day it has been.....a bit rough. Poor Josse has been fussy, tired and not her normal self. She has slept practically the whole day and I have had to wake her up to eat (If you know my baby you would know she NEVER sleeps through her feedings). The good news is her shots are done with so we are in the clear for a couple more months. I think I am going to make John come with me the next time she has to get stabbed with 3 long needles!! !